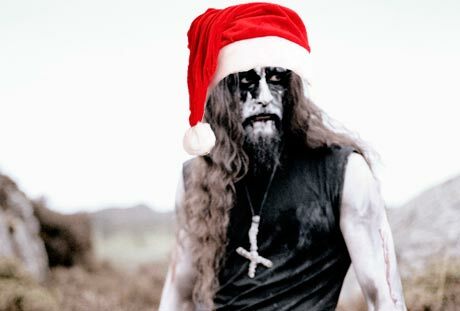 I’ll take a small break during the holidyas, so stay tuned till the next year and spread the word! North Carolina Stoner Punk (or whtever you want to call it…) act ASG has recently signed a deal with Relapse, thus becoming label mates with the likes of Red Fang, Black Tusk, Howl and Baroness, to name a few. A new album, produced by no other than Matt Hyde, is to be expected at the end of 2012. A Southern US tour has been confirmed already, as well as a special appearance at next year’s Hellfest in France. 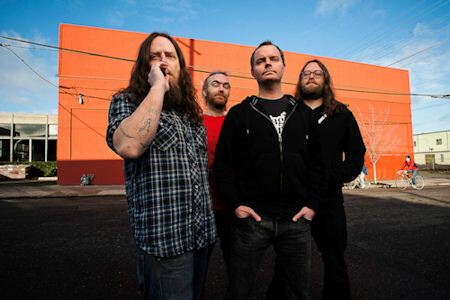 Red Fang (from Portland, Oregon) have just completed the video shoot for their song “Hank Is Dead”, taken from this year’s critically acclaimed album Murder The Mountains. Some stills can be seen at the band’s Facebook page. The video will be aired in a few weeks and was directed by Rob “Whitey” McConnaughy, who was also responsible for the “Prehistoric Dogs” as well as videos by Turbonegro and Mudhoney. A free downlaod of the track “Number Thirteen”, also from Murder The Mountains, is available here. The song is featured in a new video game called Rocksmith. Wow, I just dropped the needle and a few seconds later it’s all over! Well, not really, but French Grindcore outfit Doomsisters keeps the pedal to the metal most of the time.